Calvin Anderson, ranked as the top online tournament player in the world as recently as last November, just added his first World Series of Poker bracelet to his resume, taking down Event #30: $1,500 Seven-Card Stud Hi-Low. Anderson will pocket $190,538 for his win after defeating fellow American pro Joe Tehan heads up. 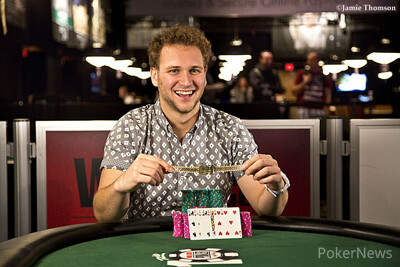 He defeated a total field of 588 players to claim his win. Anderson came into the day in good position, second in chips out of the final 12 behind eventual third-place finisher Eric Kurtzman. After a couple of quick eliminations, including Ted Forrest bubbling out, the final table commenced with Anderson fourth out of eight. John Myung and Jimmy Fricke fell early on, with Anderson taking many of Fricke's chips with a low straight before Fricke busted. Short stacks Sanjay Pandya and Melissa Burr headed out the door in sixth and fifth, respectively, before Anderson took out Levon Torosyan in a huge pot with a boat over an ace-high flush. Anderson then dealt a crushing blow to Kurtzman, scooping him with two pair and then finishing him off shortly thereafter. The Oklahoma native took a big lead into heads-up play, which surprisingly ended in less than an hour as Anderson just kept winning key pots. Tehan had to console himself with second, but he still cashed for well over $100,000. 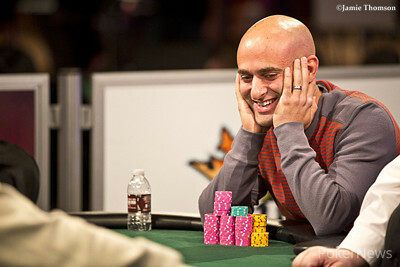 Thanks for tuning in to another great WSOP event here on PokerNews. Don't miss the final table of the $2,500 No-Limit Hold'em event happening right now. Joe Tehan got his last few thousand in on the first round of bets. Both had low cards, but Tehan caught bad with the , while Anderson caught good the to pair up. On fifth street, both players got a bit of help as Tehan added a pair with while Anderson added a low draw and straight draw with . Tehan got another brick on sixth with the , and Anderson improved to two pair with . Tehan impatiently waved the dealer to throw him his last card, and the dealer obliged with the , ending any hope for a comeback. Calvin Anderson had the bring-in and Joe Tehan completed. Anderson raised to 60,000 and Tehan made it three bets. Anderson re-raised and Tehan called. On fourth street, Tehan bet and Anderson called before that action was repeated on fifth. On sixth however, Anderson would bet out with Tehan called before Anderson bet seventh and Tehan called leaving himself just 20,000. Anderson tabled his for a flush as Tehan rechecked his down cards and then sent them to the muck. Joe Tehan completed with , and Calvin Anderson raised. Tehan made it three bets, and Anderson went to four. Tehan called, then called bets on every street. Anderson's flush and low was good for a scoop. Father's Day at the 2014 WSOP! Calvin Anderson had the bring-in and Joe Tehan called and then bet fourth only to have Anderson raise. Tehan called and Anderson bet fifth and sixth with Tehan calling him down until he bet seventh and Anderson called. 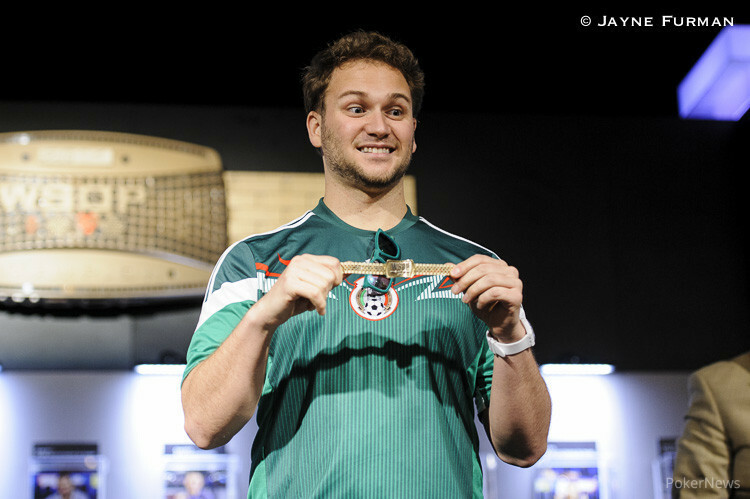 Tehan tabled his and scooped the pot with two pair to return to 670,000 in chips. Calvin Anderson completed with , and Joe Tehan called with . Tehan took the betting lead when he caught against Anderson's , and he fired again on fifth with the when Anderson got . Tehan slowed down on sixth by check-calling, and he check-called the river as well after some thought. Anderson's tens and fours took the pot.